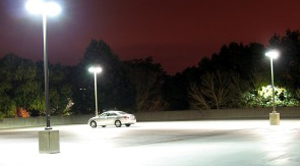 Most parking lots and garages use inefficient Metal Halide or High Pressure Sodium lights that burn 24 hours a day, even during peak electrical rate periods, making them an ideal application for an LED Lighting Retrofit! Energy Efficiency Pros provides LED parking lot and garage lighting that offers immediate benefits and fast paybacks. 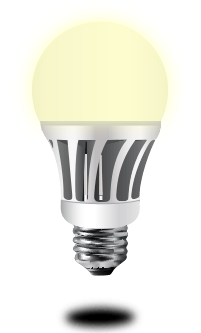 Designed to last 50,000-100,000 hours, LED Lighting greatly reduces energy, labor, maintenance and operating costs. 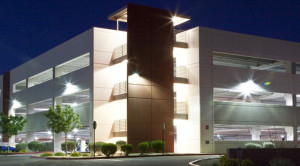 LED parking garage lights can remain dim (energy saving mode) during bright daylight hours or until motion triggered them to automatically put out bright white light (full power mode). A recent Department of Energy (DOE) study reported that parking garages are one of the best applications for replacing standard lighting with energy efficient LED Lighting. Couple the energy savings with local utility company rebates and EPACT tax incentives, and you will find it to be one of the most cost effective lighting retrofit solutions with a typical payback of one to two years or less and an average 12-15x lifetime ROI. Let Energy Efficiency Pros show you how to save up to 90% off your electric bill for lighting AND reduce your maintenance costs. Copyright © 2019 American Energy Efficiencies - All Rights Reserved.